I hold a handful of things close to my heart: family, friends, and FOOD. Back in 2012 while living in Newport Beach, I had the privilege to serve at this iconic restaurant, which provided me with new friends who eventually became family to me. So naturally I jumped at the opportunity to redesign their site. Not to mention, I wanted to add restaurants to my website wheelhouse along with small businesses and artists, so it was a perfect match. The challenge with the Mama D's site was trying to make the site as simple to use as possible while displaying all the necessary information their guests would need in one place (and to find very quickly, I might add... hungry people are always in a hurry). Their menu and the pictures of their food/interior speak for themselves, so my goal was to keep the design out of the way while creating that (personally familiar) "Italian family kitchen" vibe. Simply connected the domain to an external 3rd party, DoorDash. 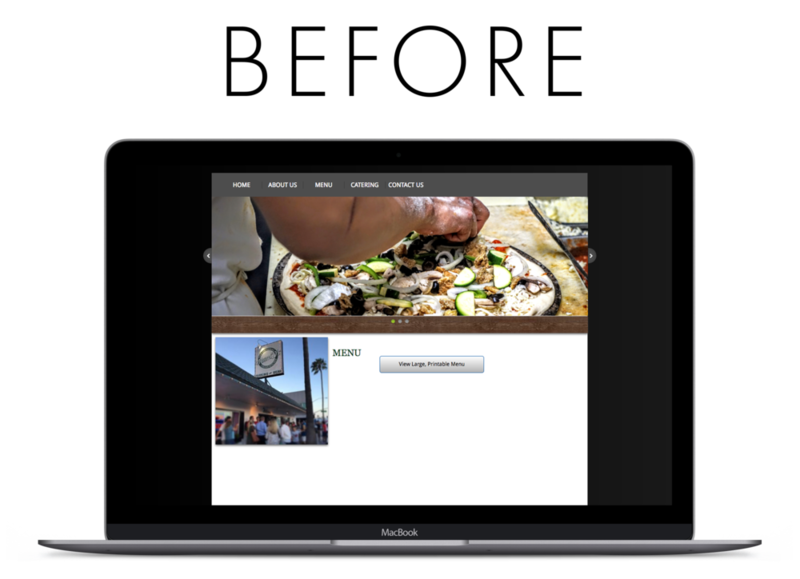 Make the website "feel" like the restaurant's interior feels: warm, welcoming, friendly, homey, and food-centric. In turn, streamlines the process for the client by eliminating the back and forth emails and providing them with one email that answers all the questions they need to ask to provide a quote. Mama D's is known for their ridiculous amount of raving Yelp reviews, so linking their Yelp account was a must. Obviously inspired from the Italian flag... Paisan! Still here? Leave me some love!